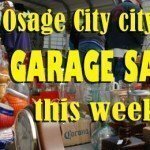 OSAGE CITY, Kan. – Randolph Wayne “Randy” Sumner, 59, passed away Saturday, July 1, 2017, at his home in Osage City, Kan. He was born Jan. 21, 1958, in Killeen, Texas, the son of Raymond E. and Virginia Hollister Sumner. Randy attended Shawnee Heights High School, Topeka, Kan., and graduated with the class of 1976. Randy proudly served his country in the United States Marine Corps Reserves after high school. Over the next several years Randy traveled throughout the United States mastering his craft as a carpenter. Randy was joined in marriage to Terri Lank, in August 1991, in Topeka. They would make their home in Osage City in 1996, where he began working at KanBuild Homes. In the years following the closing of the KanBuild plant, Randy traveled with UCI as a form and framing carpenter until his retirement in 2013. Some of Randy’s many hobbies included a love for hunting, fishing, and gardening. He also greatly enjoyed traveling, working on his home, raising his goats, and training his dogs. Most of all he enjoyed passing the things he loved on to his children. 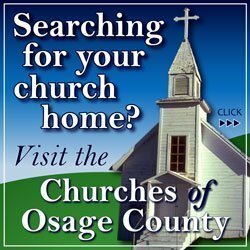 He will live on in the hearts of his wife, Terri, of their home in Osage City; his mother, Virginia, Osage City; sons, Jerimy Sumner and his wife, Jennafer, and children, Gavin and Sydney, Maple Hill, Kan., and Nicholas Sumner, Gavin Melson, and Joseph Hildebrand, all of Osage City; sister, Rita Bidwell and her husband, David, of Falls Church, Va.; brothers, Rodney Sumner, Emporia, Kan., Ronald Sumner and his wife, Amy, Osage City, and Ricky Sumner and his wife, Lora, Garnett, Kan. He was preceded in death by his father, Raymond, and a son, Daniel Ray Lank. 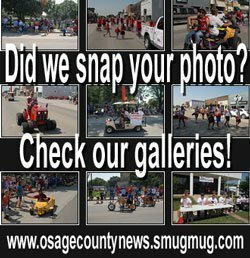 The family will hold a reception to celebrate Randy’s life 4-6 p.m. Thursday, July 6, at the Osage County Senior Center, 604 Market St., Osage City. Memorial contributions may be made to the Randy Sumner Memorial Fund and sent in care of the VanArsdale Funeral Chapel, 107 N. Sixth St., Osage City, KS 66523.